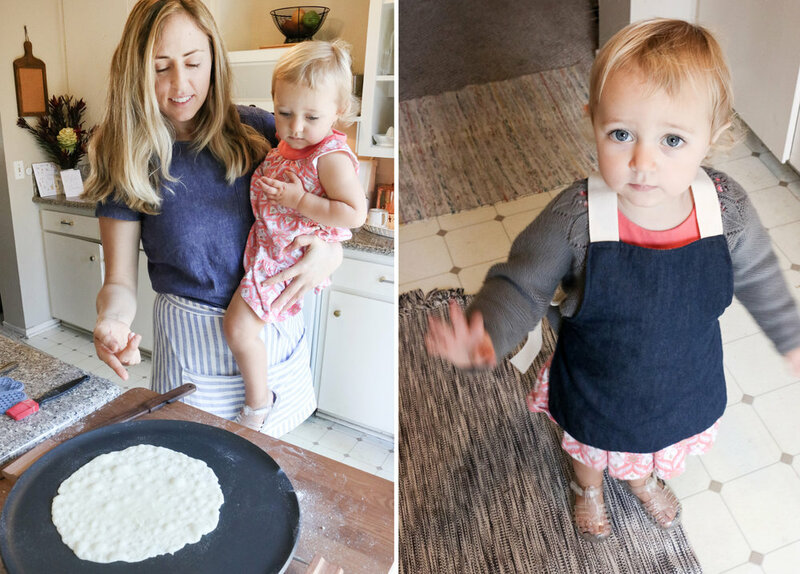 Lefse Day...My favorite day of the Year — Nordic Fox Design Co. 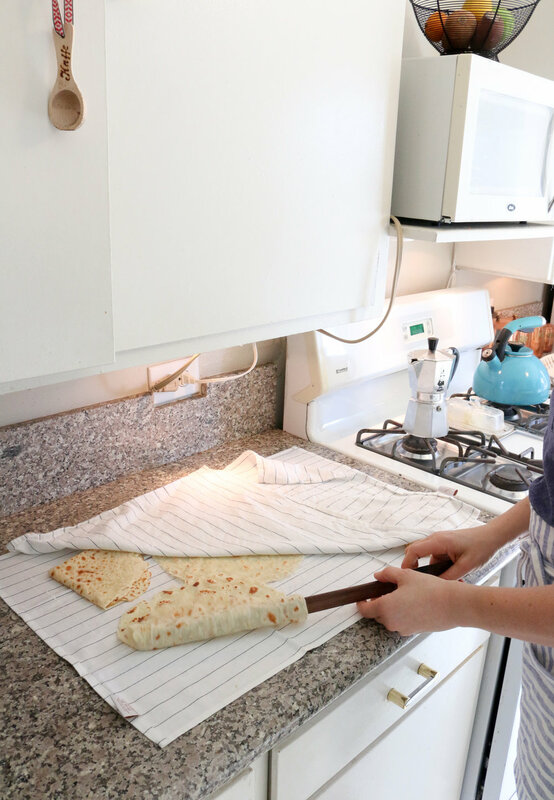 Yesterday I got together with my Mom and sister and we spent the morning making the traditional Norwegian potato flatbread, Lefse. It's our favorite tradition during the holidays and I look forward to it every year. This special day is what my sister and I based our illustrated book "Lefse Day" on which you can read more about here. Throughout the post I mention some of our tips we have learned over the years to make sure the Lefse we are making turns out just right. To start we set up the essential Lefse-making tools. A Lefse griddle, lefse sticks, a pastry cloth board and rolling pin, and a sifter with flour in it. 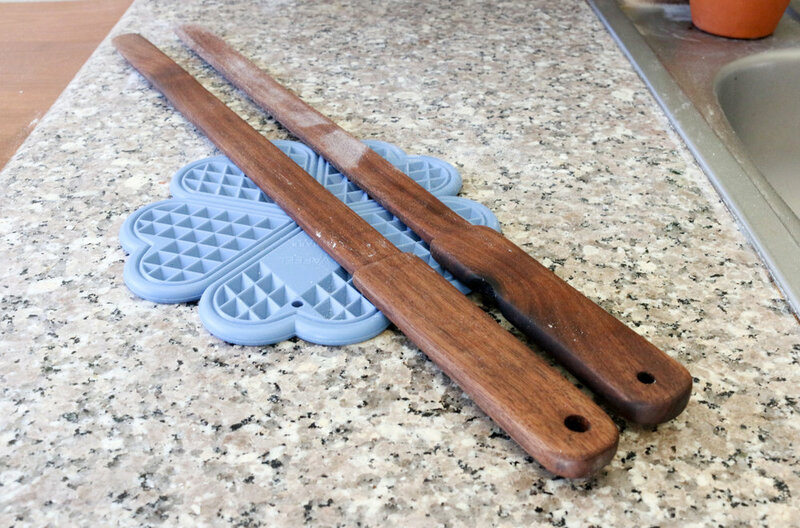 These walnut Lefse sticks were a handmade gift from my brother-in-law. Always keep your rolling board evenly covered with flour to make sure the dough doesn't stick to the cloth. It's also helpful to keep the dough balls in the fridge and only take a few out at a time. This ensures they don't get too soft and prevents the dough from sticking. 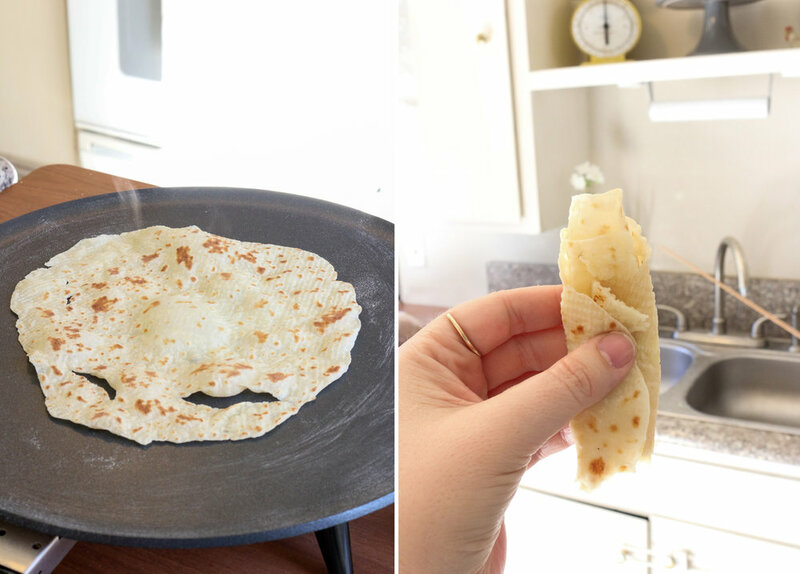 Lefse is really thin and cooks up almost instantly once it's on the griddle. We always have someone standing by to flip it while another person does the rolling. The Lefse should have light brown spots before you flip it to the other side. My niece Emilie came in to join in on the fun, she's not quite old enough to help yet but we still love teaching her about it. We use a couple of dish towels to lay the Lefse on while it cools. This prevents it from drying out. After it cools completely it's ready to be folded and put into bags to be stored in the refrigerator or freezer to enjoy later on. 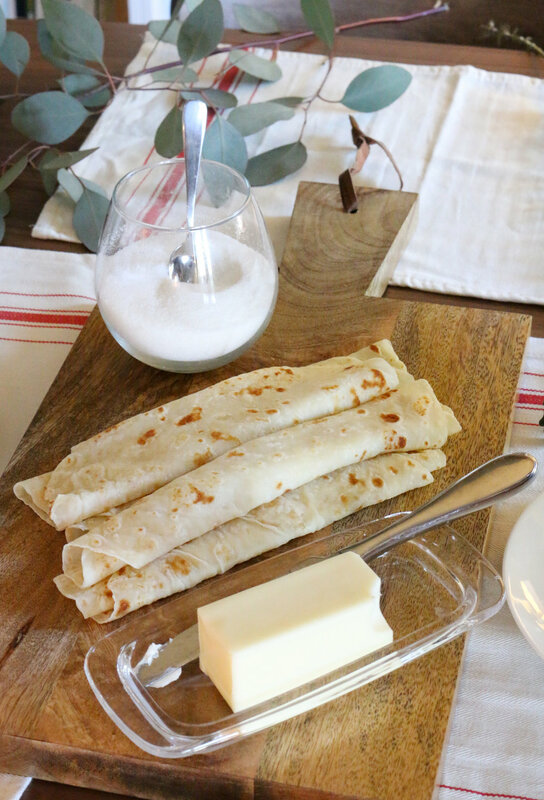 Our favorite way to enjoy Lefse is rolled up with just butter or butter and cinnamon and sugar. 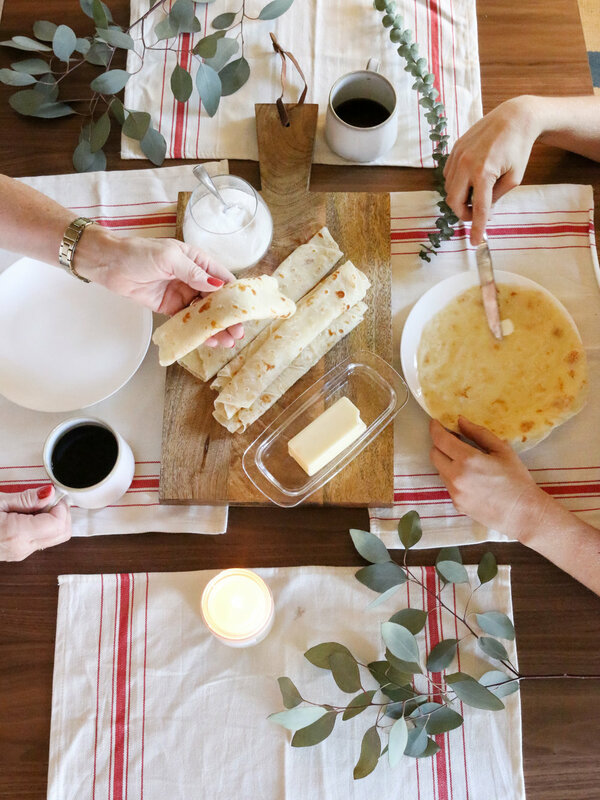 There is nothing better than getting together with family around the holidays and enjoying homemade, fresh Lefse. If you've never had the real thing I highly recommend trying it. Happy Thanksgiving to everyone and Happy Lefse making. Thank you for reading our blog, we are happy you are here. Please note all data and information provided on this blog is for informational purposes only. nordicfoxdesignco.com makes no representations as to accuracy, completeness, currentness, suitability, or validity of any information on this site and will not be liable for any errors, omissions, or delays in this information or any losses, injuries, or damages arising from its display or use. All information is provided on an as-is basis.